At Perth Patio Factory we talk a lot about form and function, as well as how our builds are all aesthetically pleasing. Without Colorbond® our builds would still function beyond the expected and show great form; however their beauty, well they just wouldn’t be so pretty. Simply put, Colorbond® makes us the pretty girl at the School Ball! So, what is Colorbond® exactly and how does it work? Colorbond® is a colour coating bonded directly to our Australian made, BlueScope® Steel. This virtually eliminates the need for maintenance in terms of exterior painting for at least the first ten plus years. Now that’s something to brag about! There is so much more to tell you about Colorbond® and we’re excited to do it, so read on! Colorbond® Products are available from multiple suppliers such as SolarSpan®, Cooldek®, Stratco Outback® and others. Number one on our list of reasons to use Colorbond® is that Colorbond® has been around the block! Colorbond® is a BlueScope® Steel product. Mainly Colorbond® is known in roofing, yet there are a wide variety of other Colorbond® Steel products to discuss as we offer many of them to our clients as well. Colorbond® made its premiere in Australia in 1966 and has been a force to reckon with ever since. Colorbond® has been continually tested in the harsh Australian climate conditions and in every case has stood the test of time again and again. Colorbond® shows exceptional strength and fortitude in the face of our ever-adverse climate conditions, from wind and rain to extreme sun and dust. 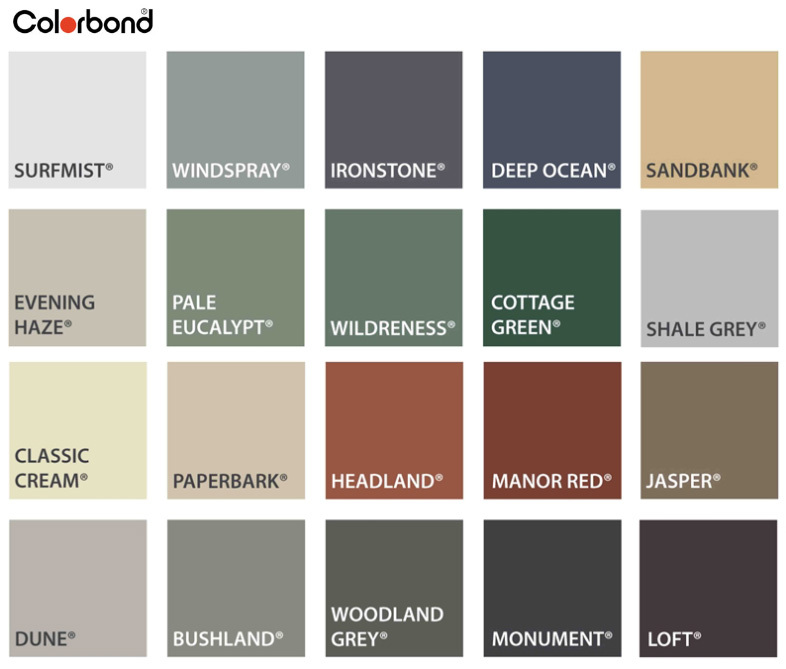 Colorbond® Steel is available in 22 colours and we’re not talking about just roofing! You can match or coordinate your rain collection system of gutters and downpipes as well, even fascia. The array of thermally efficient light colours in the Colorbond® pallet serve to help your home remain cool while other homes and businesses will swelter on those hot summer days. Think sweet tea on your patio, beneath your Colorbond® treated roofing system. Ahhh…heaven! The popularity of Colorbond® over the years is a testament to its continued evolution in the marketplace. The latest innovation is to Activate®(2013). BlueScope® is the patent holder for this technology and many others, developed along the way. We can talk more about Activate® later. You can see Colorbond® in use out in the community at places such as the Adelaide Velodrome and even the Margaret Court Arena. Don’t take our word for it; ask your cycling friends what they think? Better yet, go to Melbourne, attend a concert and experience Colorbond® for yourself. Plus…it’s a night out on the town. Not that you need an excuse, but it’s always handy! To assure you are getting the Colorbond® material, always ask for it by name and always check the manufacturer’s mark on the material itself. This is your assurance of authenticity and your promise of quality. When using a BlueScope® Colorbond® roofing system or other items like downpipes and gutters, we know you have put your trust in us as well as Colorbond® for several important factors. Your trust is well- placed and your money is well-spent. Colorbond® products protect your home, your family, your business and your coworkers, not to mention your property from any number of weather changes and extreme conditions. We take that very seriously and so does Colorbond®. Earlier we mentioned that Colorbond® is field tested in extreme conditions. We meant it! There are over 12, 000 panels being tested at any given time, in Australia alone. That’s a lot of panels! Bluescope® doesn’t just leave the testing to the elements. It goes into the lab as well and recreates actual building applications so that there are never any surprises in the field. Pitch, profiles and product types are all subjected to repeated quality and conformity testing. They clean it, let it get dirty again and stay that way just to see what happens to it over time. BlueScope® even sets it on fire as part of its extensive testing! So when we say that the limits have been tested, you can be confident that they really have. BlueScope® quotes various statistics regarding flame, heat and time. Without recreating the wheel here, let’s just say you’ve got nothing to worry about. We can safely say that a Colorbond® Steel coated fence around your property makes you less vulnerable to bushfire. It’s non-combustible! To get the nitty-gritty details from their site, select https://colorbond.com/why-colorbond-steel Colorbond® steel roofing is certified for use in even the most extreme Bushfire Zones (BAL-FZ or Bushfire Attack Level-Flame Zone). That’s some high heat and a lot of flames! We’ve already mentioned the thermal properties of the Colorbond® light colours. What we haven’t talked about yet is Thermatech®. Every colour except Night Sky® in the standard Colorbond® pallet features Thermatech® Technology. In addition, at least five colours (light colours) in the Colorbond® steel pallet qualify as solar reflective roofing under the Green Star Communities tool. That’s impressive! What is Thermatech® Solar Reflectance Technology? Glad you asked! Thermatech® is technology that is designed to reflect the sun’s heat on hot summer days. What does this mean for you and your home? It means less dependence on air-conditioning and reduced heat stress on the roof. Ok, aside from the obvious…a cooler home, what else does Thermatech® do? It lessens your electric bill because you won’t have to run that air conditioner as much! 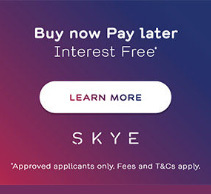 Phew, savings! Yay! That means more money in your pocket to enjoy your Patio or Pergola and have fun! With energy efficiency and savings, what more can you ask? We’ve discussed the harsh climate and extreme climate changes that can and do occur here in Australia on a regular basis. The long-life of Colorbond® steel and its durability mean that you will have to invest less resources going forward and conserving those resources is a good thing. Why invest in a product with a shorter lifespan that you might have to replace in 5-10 years? Is it worth it? No, it certainly is not. Colorbond® steel material contains recycled content. The best part, it is 100% recyclable. In some cases, Colorbond® coated steel can be re-used in other projects without any further processing. This saves resources for future projects and that is always a good thing. The fact that Colorbond® Steel is both lightweight and strong, strong like bull, means that it is the responsible choice to make both for the environment and the future. Really, there’s nothing else like it. Whatever it is you decide to build, whatever piece of your project is Colorbond®, make sure you are getting the real thing! Don’t be fooled. Check for our marks in the following areas. Roof and Wall Panels Look for ink branding on the back of the sheet. Gutters Check the inside for ink branding. Packaging In some states even the protective wrapping that Colorbond® Steel ships in contains a maker’s mark. Garage Doors These are ink branded on the edge of the back side of the sheeting. It must say ‘COLORBOND® Steel made by BlueScope®’. Remember, in today’s marketplace you can’t be too careful. You’ve demanded the best, now make sure that is what you are getting. Colorbond® Steel is made right here in Australia to exacting Australian standards (AS1397 and AS/NZS 2728). It is time and condition tested in Australia’s harshest conditions. BlueScope® been making genuine Colorbond® Steel and steel products for more than 50 years. Colorbond® is bonded to the Steel, not just pained on. With our Steel, the assurance to grade and strength are met every time because we meet or exceed all of the relevant Australian Standards. Our Steel is then coated with BlueScope’s® metallic coating(BlueScope® is an industry leader in this area), which incorporates Activate® technology* and provides enhanced resistance to corrosion. A very thin pretreatment layer is used to promote adherence of additional coatings. A primer that inhibits corrosion is baked onto the surface. Finally, the top coat of exterior grade paint is baked on to the surface. This offers resistance to chipping, flaking and blistering (yikes! That just wouldn’t be pretty!!). And finally, it assures that the finish will last longer and look better! *and now for the fine print, direct from the Colorbond® site…Activate® technology is not available for COLORBOND® Stainless steel, COLORBOND® Permagard® steel, and COLORBOND® steel products with a galvanised steel substrate. Have you got a hose and a broom? That’s really all you’re going to need. Every six months or so, give your Colorbond® steel products a shower with some fresh water. No fancy cleaners or detergents required. Regular showers for roofing are not necessary unless you have placed Colorbond® in an area of high industrial fall out…i.e. Acid Rain. Not to worry it won’t melt. Just hose it off to maintain the colour and beauty of your roofing material. If there are areas that aren’t hit by normal rain showers, make sure to hit them with the hose ever six months as well, unless you are in a coastal area where marine salt spray is the norm, and then we suggest you do it a little more often. Our last point, Colorbond® Steel does not like to be crowded. Meaning, don’t let debris and soil and mulch build up against your Colorbond® steel products. Sweep them away! With proper care, your Colorbond® Steel products will offer you many years of unconditional love and service. Bluescope® is one of Australia’s largest and most respected manufacturers. They don’t fool around, so their products have an ironclad warranty subject to application and eligibility criteria. You can use their online Warranty Management System available at www.bluescopesteel.com.au/warranties to apply or better yet, get a pre-approved warranty from your builder or installer assuring that the eligibility criteria are met. We will provide you with application code for the pre-approved warranty and then it’s up to you to create an account in the warranty system and input your code. If you have concerns about Colorbond®, BlueScope® or any of the items discussed, please ask us. We can put you directly in touch with BlueScope® or we can answer your questions as we are quite familiar with this product. As we celebrate 50 years of Colorbond® Steel, we’ve noticed that not only are people using Colorbond® for all the standard projects, like roofs, walls, fences, gutters, fascia, garage doors, sheds, carports and pergolas, but they have really become inventive! Lately, we are seeing all sorts of home-grown crafts using Colorbond® Steel and we love it! Colorbond® Steel has been used in everything from letterboxes to Christmas Trees! Now that’s some crazy stuff, but again, we love seeing everything that you are able to do with Colorbond®.